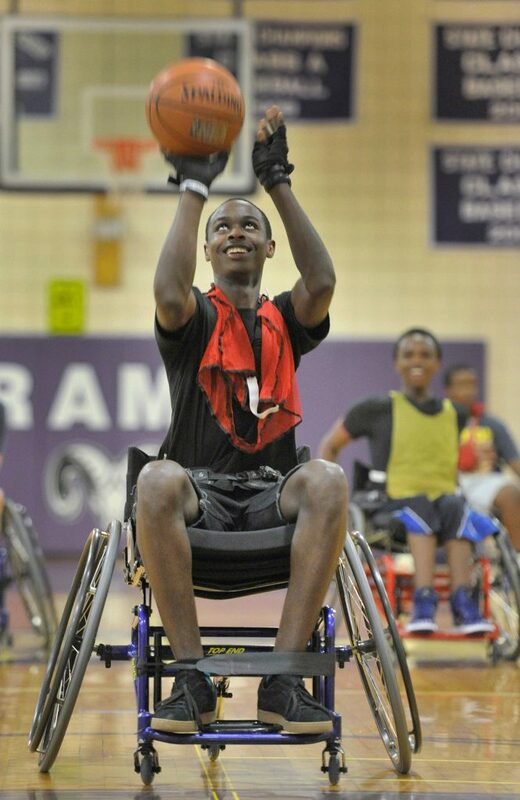 Patrick Uwamahoro is joined by players from Veterans Adaptive Sports & Training for a game at the Portland high school. 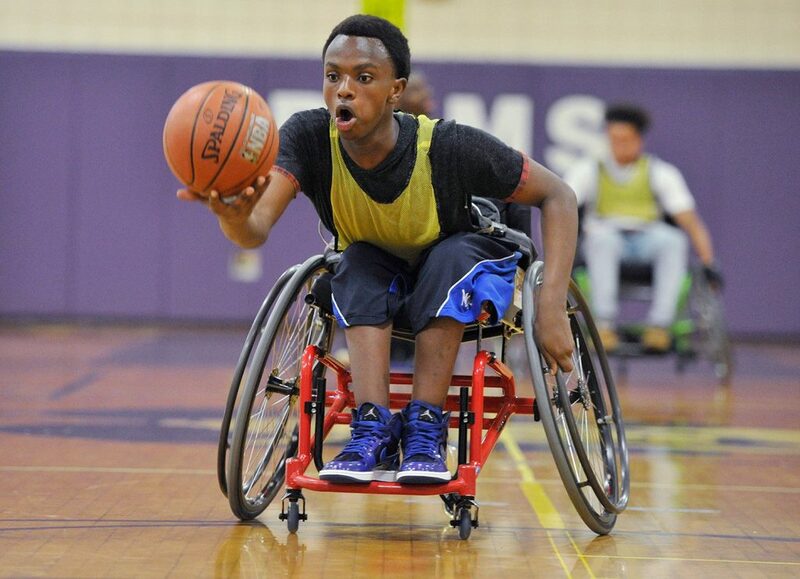 Patrick Uwamahoro’s wheelchair doesn’t stop him from playing the game he loves: basketball. 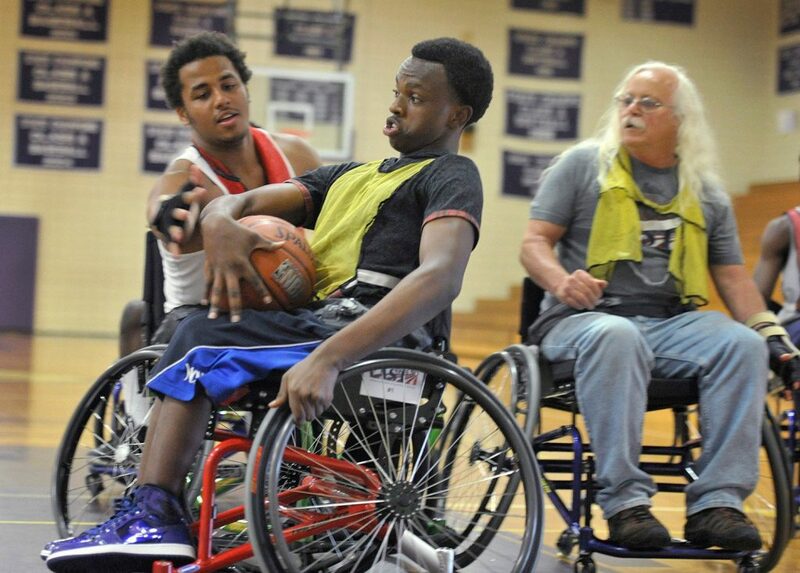 What does hold him back is the lack of opportunities to play wheelchair basketball. 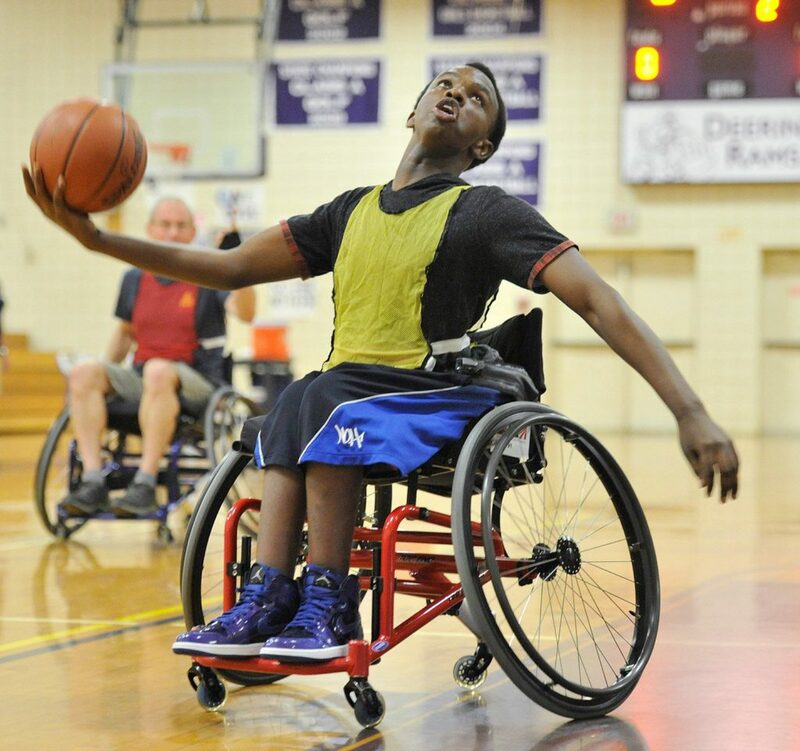 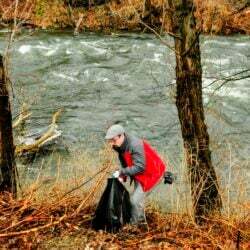 There isn’t a local league in which the Deering High School senior can play. 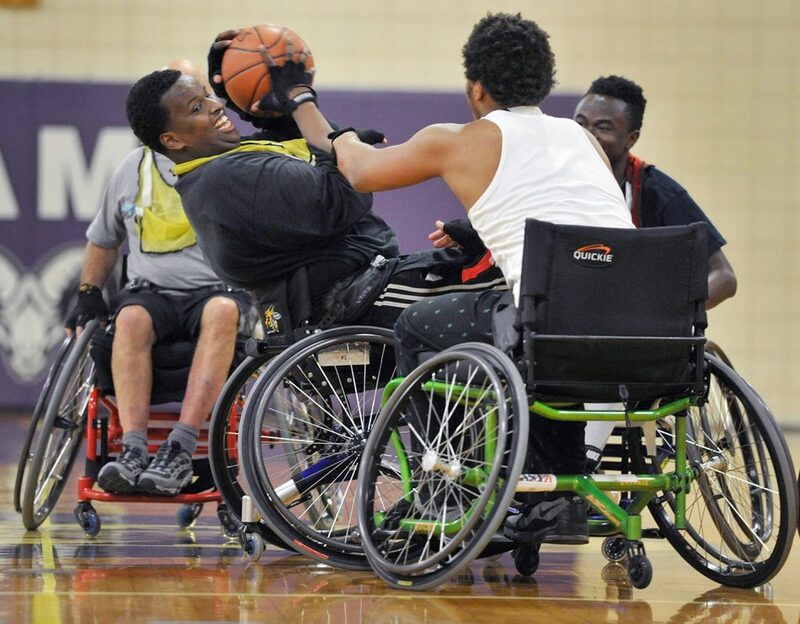 On Wednesday, in a wheelchair basketball exhibition game in the Deering gym, Uwamahoro got a chance to play with wheelchair basketball players from Veterans Adaptive Sports & Training. 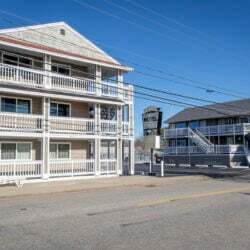 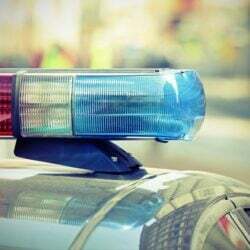 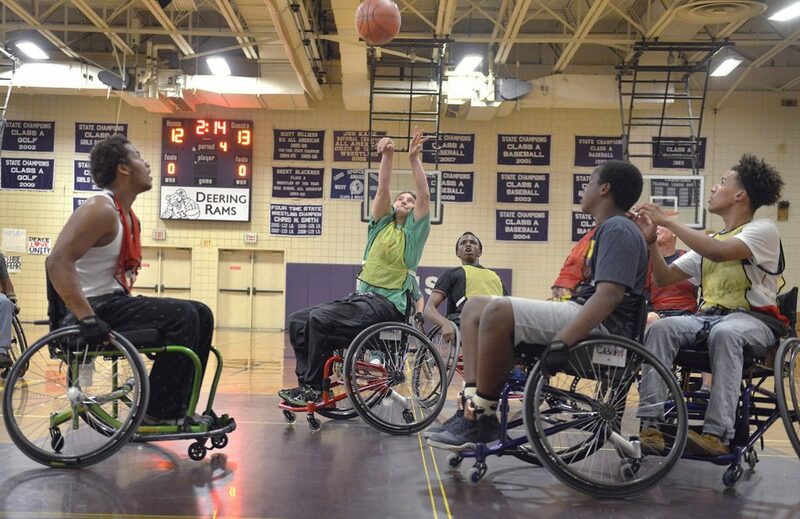 The program, based at Pineland Farms in New Gloucester, promotes the health and well being of veterans with disabilities through physical activities and sports. 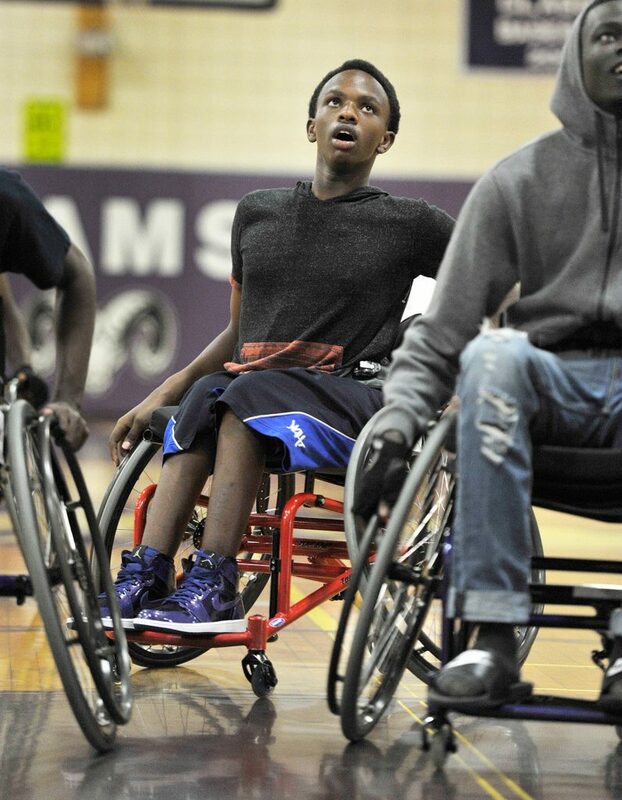 The VAST athletes brought some spare wheelchairs so that other Deering students could join in. 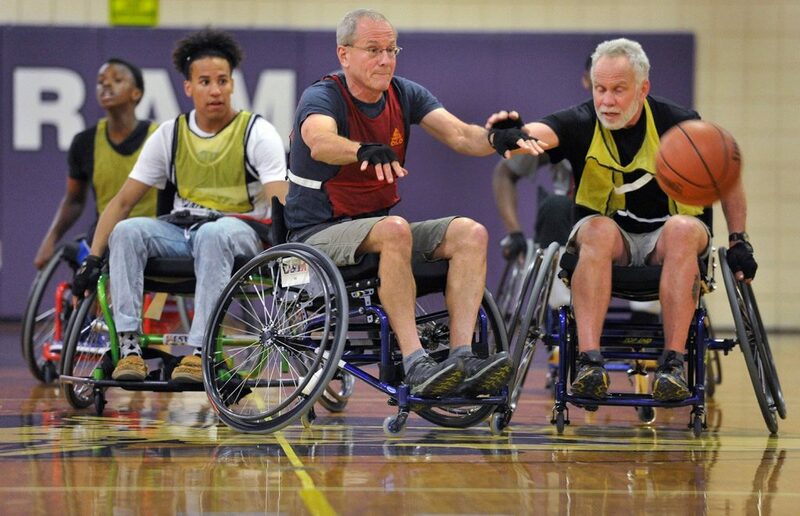 Uwamahoro planned the tournament with Jessica Labbe, Deering’s social work intern from the University of Southern Maine, and many other Deering staff members.